Category: Kutch Collection. 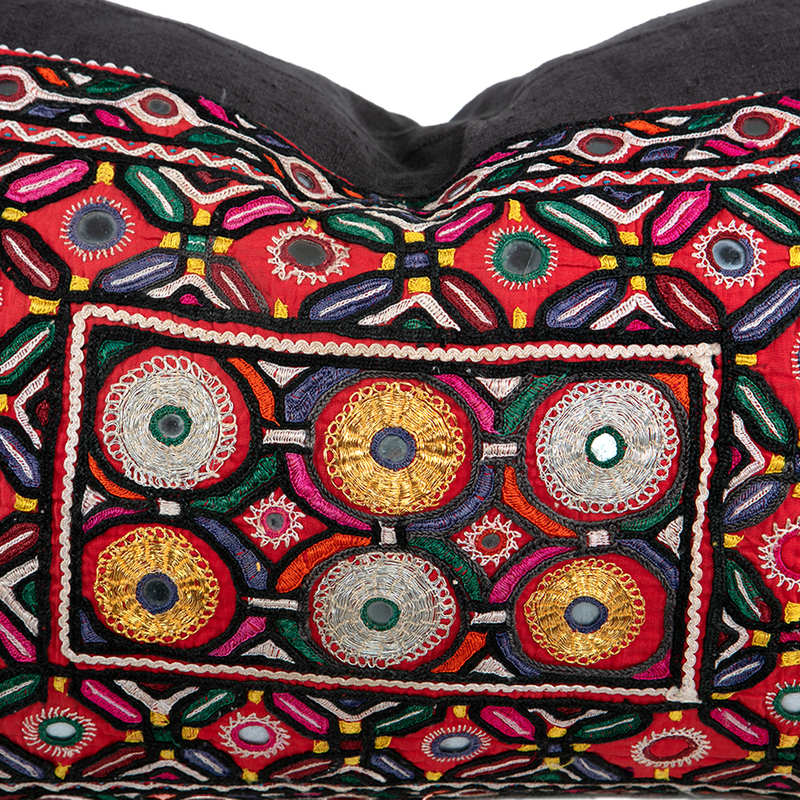 Tags: colourful embroidery, hand embroidered cushion cover, India, Indian embroidery, New. 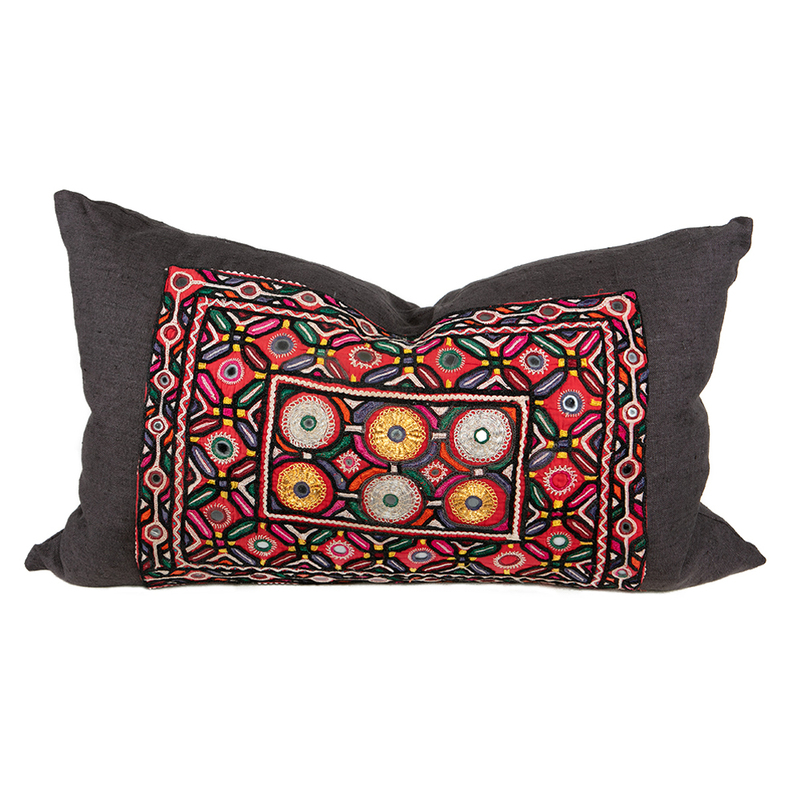 One-of-a-kind cushion cover featuring colourful embroidery in a geometric pattern, traditional mirror work and gold and silver coloured thread.The striking vintage design will add warmth, colour and sparkle to a bed. Team it with Diya which is similar in style. Scroll over the images to see the design in more detail.